Post-punk puzzle piece rock quartet Palm hail currently from Philadelphia. Guitarists Eve Alpert and Kasra Kurt have been making music together since high school and it’s so completely obvious (and like, maybe even a little unfair) that they’ve reaped the benefits of spending countless hours alone together in a room with a couple guitars. They seem to have grown into each other in a way that’s allowed them to develop this very unique and almost exclusive language of expression. 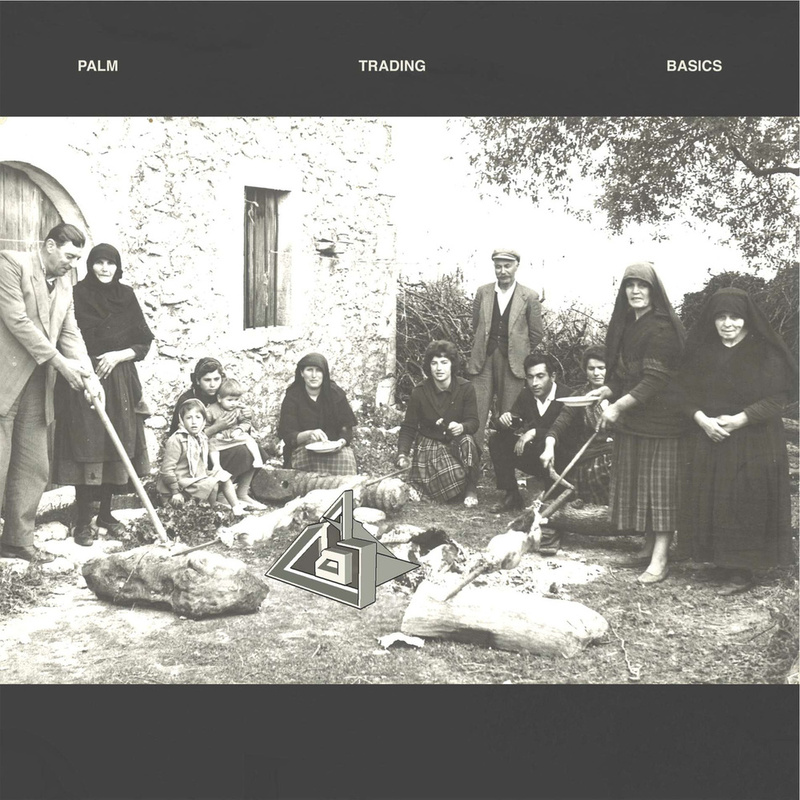 Palm’s latest release, debut LP Trading Basics, is an intricate mechanical showcase of the full band in its most realized and programmatic form to date—it’s an artful display of their collaged catalog of musical influence from punk to minimalism to jazz. On Trading Basics, Palm have taken a daring and respectable detour away from the more conventional aspects of their earlier releases (2013’s Into the Bulk), shedding notions of familiar button-down songwriting structure/melody/harmony. They seem to have reformatted, ditched any unnecessary flare, and have really started to operate as a working machine, showing an informed awareness of their individual roles within the band. Most of the tracks on Trading Basics are structured around a push/pull dialogue/argument between Alpert and Kurt’s impossibly tightly woven guitar parts. Their back and forth, mostly atonal banter is mediated by tastefully repetitive, almost trance-like bass lines from Gerasimos Livitsanos. The bass lines sort of give off the air of a neutral third party who is in the room listening, but not making any sudden movements or inferences—like an old slow motion man nodding in acceptance. Palm’s songs are constructed on rhythmic themes that leave and return the same way a melodic theme might in your average rock song (think the guitar riff from "Reptilia" by The Strokes) which makes for a listening experience that’s both challenging and refreshing in equal measure. Though the record lacks a general presence of melodic/harmonic direction, I found myself recalling drum parts the same way I might recall a vocal line from a pop hook. Hugo Stanley offers conversational and compelling drumming, relaxed but precise. Some stand-out tracks are “Crank”, featuring haunting vocals from Alpert drowned in tremolo, “Ankles”, which continually threatens to erupt into an Animal Collective song the entire time but stays compacted, and “You Are What Eats You”, an instrument track that slowly evolves in and out of its main shapes, shifting and displacing one rhythmic idea over steady time. This is not a record for a dance party or for a sing along and this is not a record to listen to passively in any capacity. Sit down on a cushion with some headphones, tune into all the individual parts working as a whole, appreciate the craftsmanship, and value Palm for the forward-thinking dynamic rock band they are in an era where copy-cat bands get so much spotlight.